By the end of her set, Simone Schmidt was apologizing, saying "I know I've said a lot of words," and she thanked everyone in the audience for still being there. Seeing as how Schmidt is one of the best songwriters in the country, reducing her set to a simple word count was self-deprecating, to say the least. 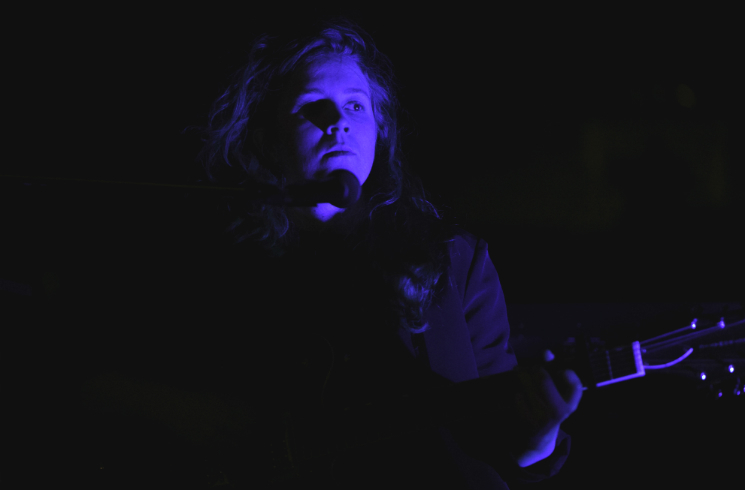 That night (February 3), St. Alban's was in complete darkness save for the deep blue light cast against the singer songwriter, a stark lighting choice that perfectly captured Schmidt's no-frills music. Despite what she may have said, the last thing you could ever accuse Schmidt of is being self-indulgent. Songs like "Dayton" and "Rage of Plastics" played out like little novellas or vignettes, incredibly thoughtful, poignant moments that were sung vividly. Her quivering vibrato is one of a kind, and live, they add to the feelings of vulnerability that her lyrics so modestly convey. If the rapturous applause from the crowd at St. Alban's Wednesday night was any indication, Schmidt could not possibly have overstayed her welcome.